According to Stephen Robb’s report on Men’s Wedding Rings for the BBC, the past tradition for women to wear wedding rings and not their husbands was related to the idea that the man takes ownership over his wife. Thankfully times have changed! Seeing a man with a wedding ring is now the social norm. 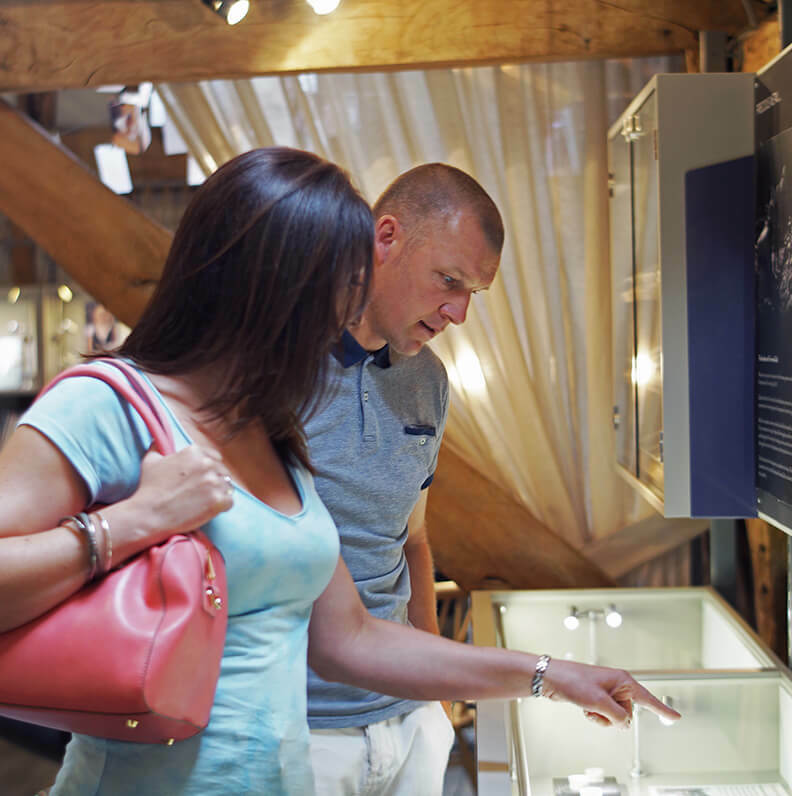 The increase in men wearing jewellery generally, as well as the huge variety of designs now available in men’s wedding rings have both been instrumental in increasing their popularity. It’s no longer the case that men have to choose between a single traditional ‘off the shelf’ wedding ring or nothing at all. They can choose a ring which suits them; their dress sense and the metal which complements their skin tone the best too. 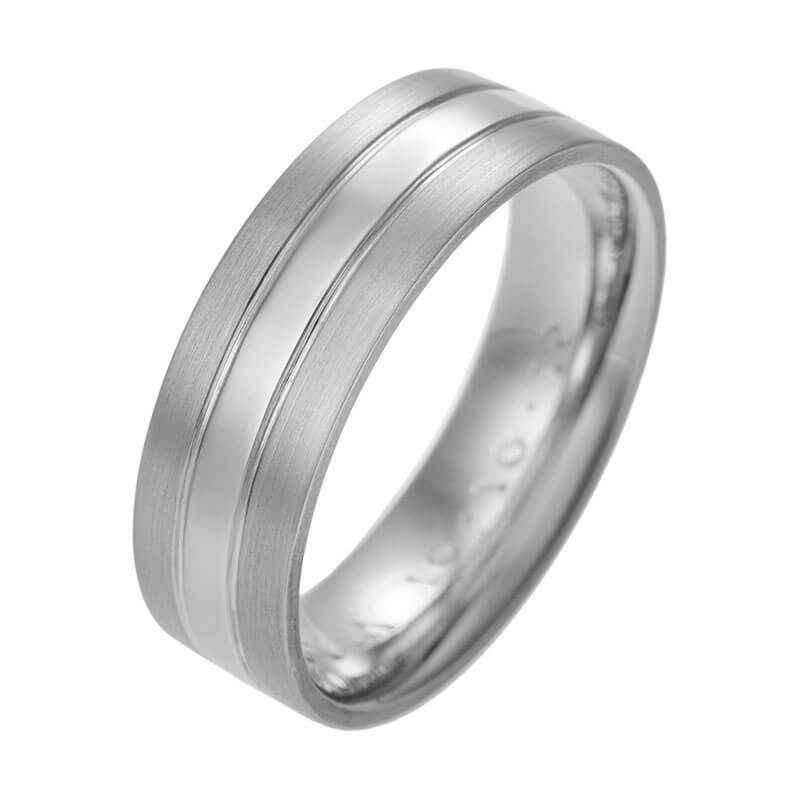 As bespoke designers, we work with many men who wish to create something unique, often using contrasting finishes or engraving to help tie in the design of their wedding ring with that of their partners. We have a number of finishes and styles that might be considered more ‘masculine’, including our industrial look satin finish, or hammered finishes, often made in the white metals of platininum or palladium rather than the more traditional yellow gold. Have a look at some ideas of rings where we’ve developed ‘matching’ pairs – not just replicating a design in a larger size, but ‘translating’ ideas across in a way which communicates some of the wonderfully different characteristics between men and women. Thanks again to you and you skilled goldsmiths for producing our beautiful rings. It's been a lovely experience all round.